FAT TO FIT with Cindy Lane Ross: TRX Suspension Training System and the BENEFITS! TRX Suspension Training System and the BENEFITS! 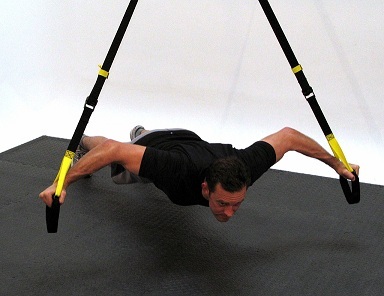 The TRX Suspension Trainer is the most versatile fitness tool out on the market today. For those of you that don’t know what TRX stands for, TRX is the acronym for total resistance exercise. This means exercise techniques being performed keep the body’s core engaged all the time. These techniques activate your core during every exercise by displacing your body’s center of gravity. With that said, the benefits of using the TRX Suspension Trainer include balance, coordination, stability, flexibility, power and strength. Bodies By Cindy has a TRX Suspension Training System in the studio, so if you feel it's time to try something new to add to your workouts, give us a call today!